How’s that work? With magnets! 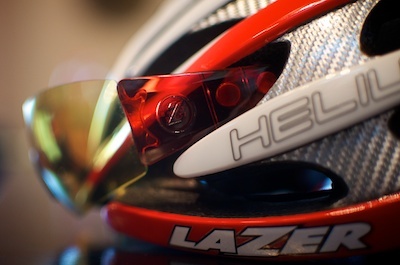 A mod to that Lazer Helium helmet. Two brass grommets inset in the left and right vents, above the temple, hold the Magneto lenses when you’re not wearing them. I wrote about the Magneto last month. The Magneto replaces earpieces with a larger temple pieces that have magnetic dots embedded in them. 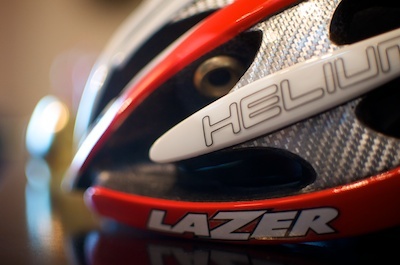 Those dots pair with the matching magnetic dots in the helmet straps.